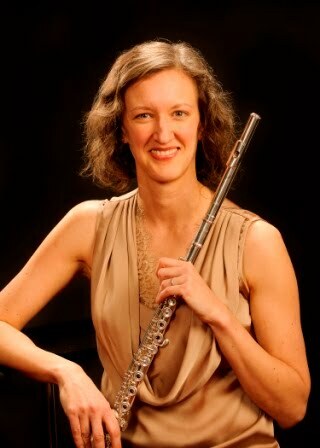 Nicole Riner, flutist: Choosing the right college for you. Having just survived another audition season and round of acceptance letters at University of Wyoming, and having also initiated a handful of these conversations with my own graduating students, the topic of school shopping is very much on my mind right now. Prestige is something, but there is so much more to a school, and the fancy name on your future degree won't keep you happy every week if you have found yourself studying with the wrong person, in the wrong environment, or the wrong subject matter for you. I hope this may be helpful for those of you who are just starting this process, as well as those of you who are still finalizing it! I. Research. Look online for materials like syllabi, audition requirements, and other info about the studio, the teacher’s activity in the field, etc. A teacher’s bio will give a sense of what “flute family” s/he comes from. Do this before you email! Don’t ask questions that are already answered. II. Communicate: Contact the flute teacher and ask specific questions that pertain to you (size of studio, number of graduate students, where do graduates go afterwards). General questions are virtually unanswerable. Your prospective future teacher should be willing to communicate and do so in a timely manner. It’s a portent of things to come. III. Visit. Contact flute teachers ahead of scheduling a visit. See if you can get a lesson and/ or sit in on a current student’s lesson. Ask for contact information for current students. Sit in on studio class, ensemble rehearsals (not just the elite ensembles, but the one you are most likely to play in as a freshman), and music theory/ history classes being taught that day. Get a feel for the musical community you might be joining. IV. Don’t be shy. It's hard, but do it. Visit the practice room area and approach flute students who are not in the midst of practicing. Ask them what they think of the program, what they think the differences are between the various majors, what they think of their flute teacher, etc. Friendly students will be surprisingly candid. Unfriendly students will not make pleasant colleagues. V. Decide what’s most important to you. Flute teacher, strength of academics, music ed. placement, location, etc. This seems obvious, but until you have a philosophy on how you will judge schools, you're going to be all over the place, mentally. VI. Prepare the audition thoroughly! Find out what the music requirements are as early as possible (scour the websites before asking) and work diligently to prepare so that you play your best. Schedule other performances of your audition pieces (solo and ensemble, a recital, playing at your church, etc.) beforehand to build your confidence, and recycle as much literature as possible from one audition to the next.